RETRO CLASSIC: The Lance Havana Classic 50 struts a retro classic pose that suits all tastes. 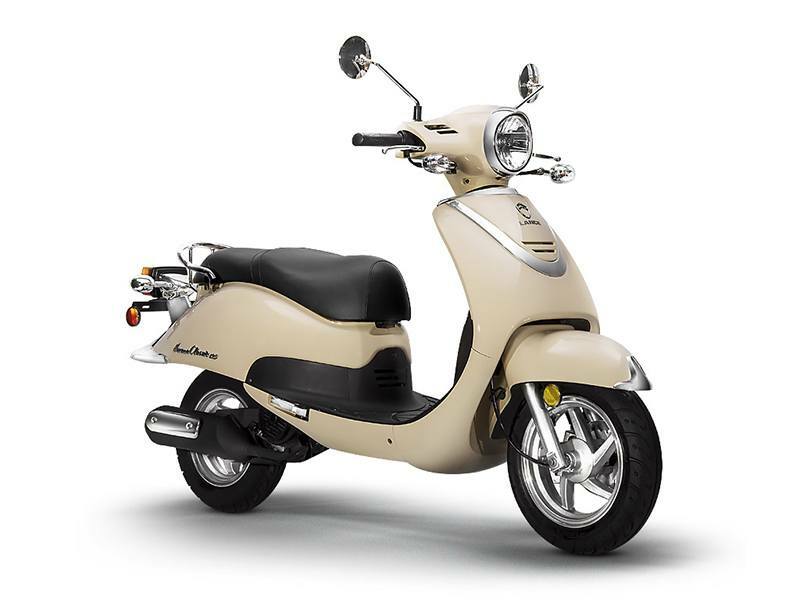 It’s the perfect inner-city commuter with elegant lines, comfortable spacious seating, impressive handling, high quality fit, and finishing. 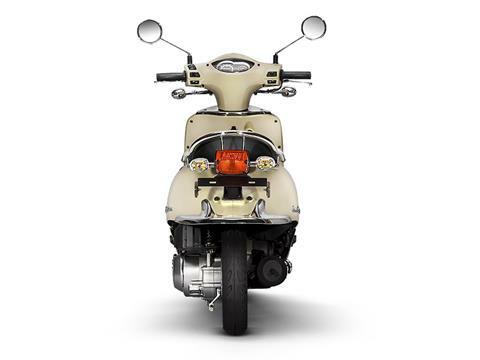 PERFORMANCE: The single cylinder engine guarantees great performance with maximum respect for the environment. 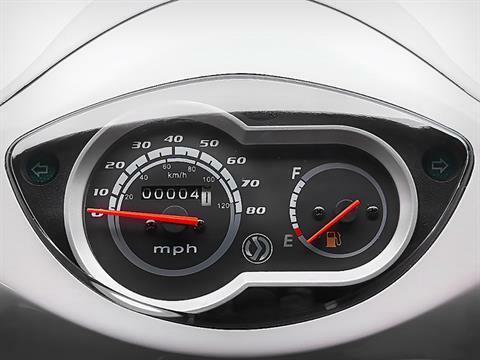 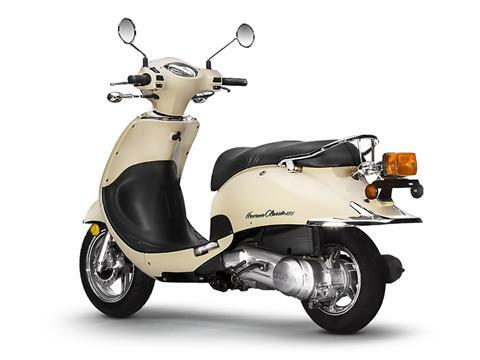 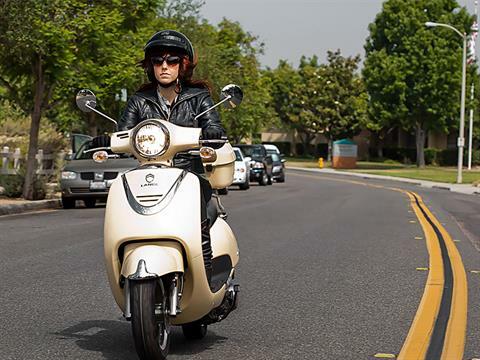 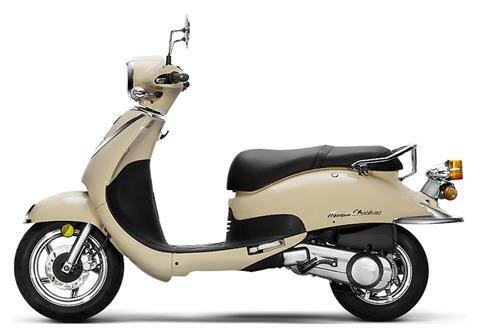 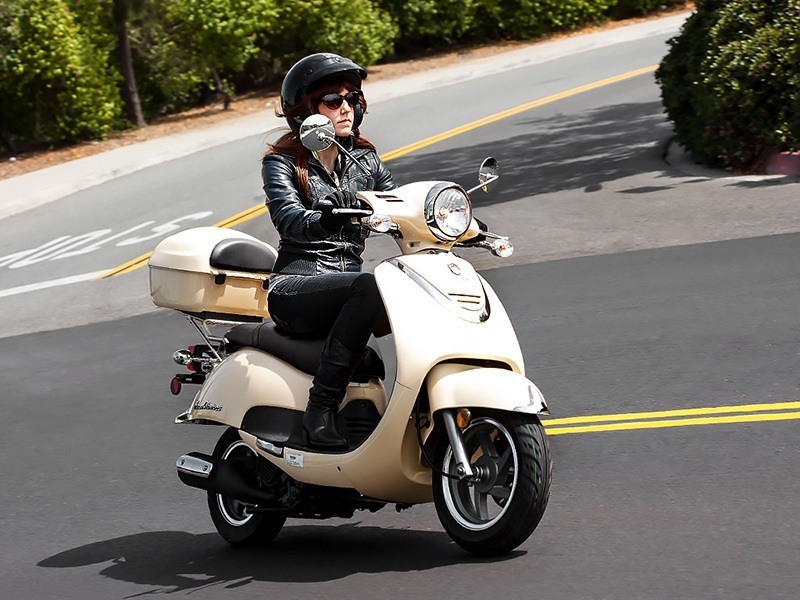 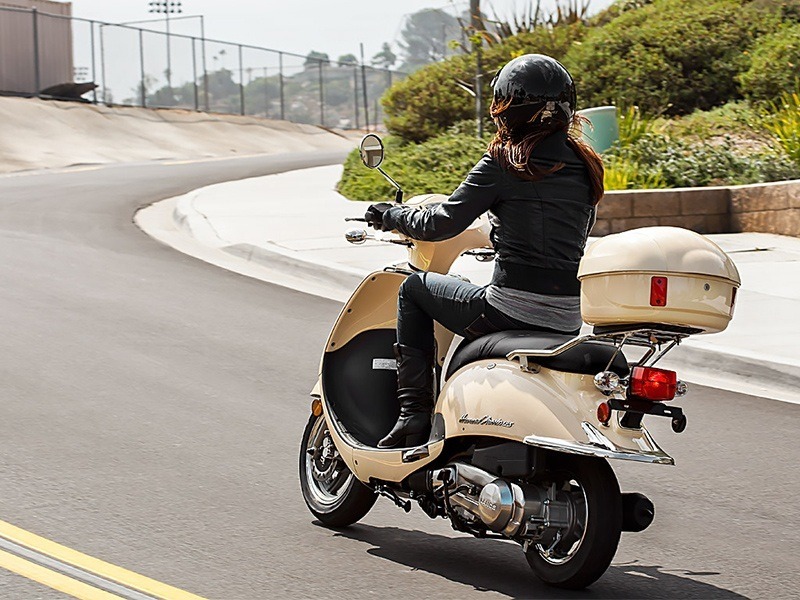 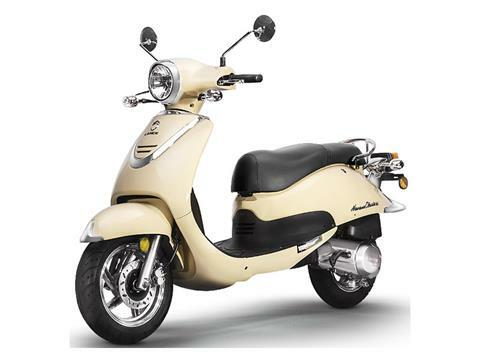 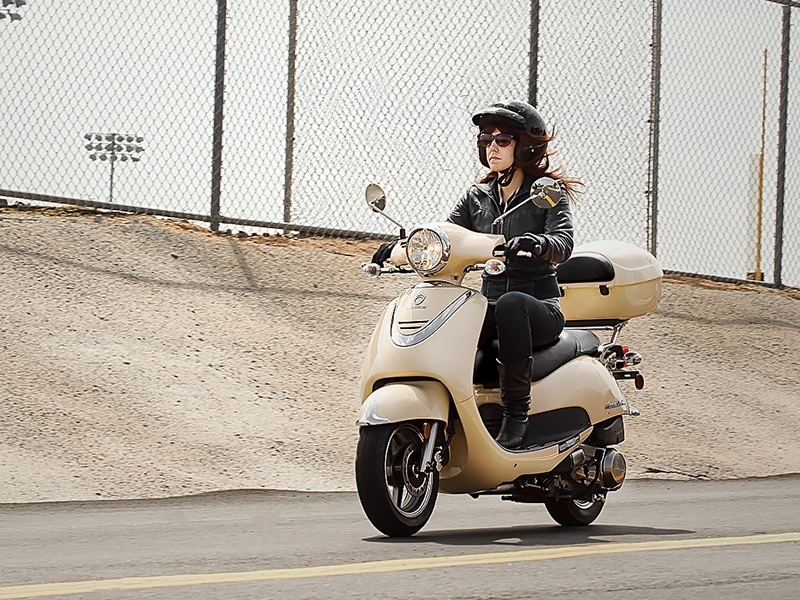 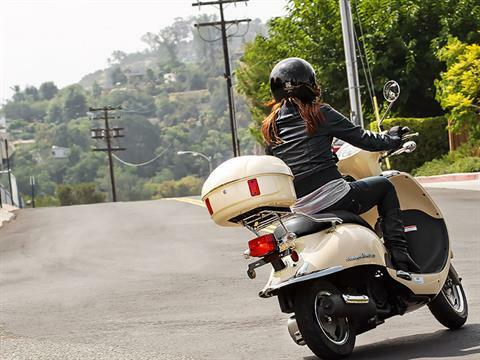 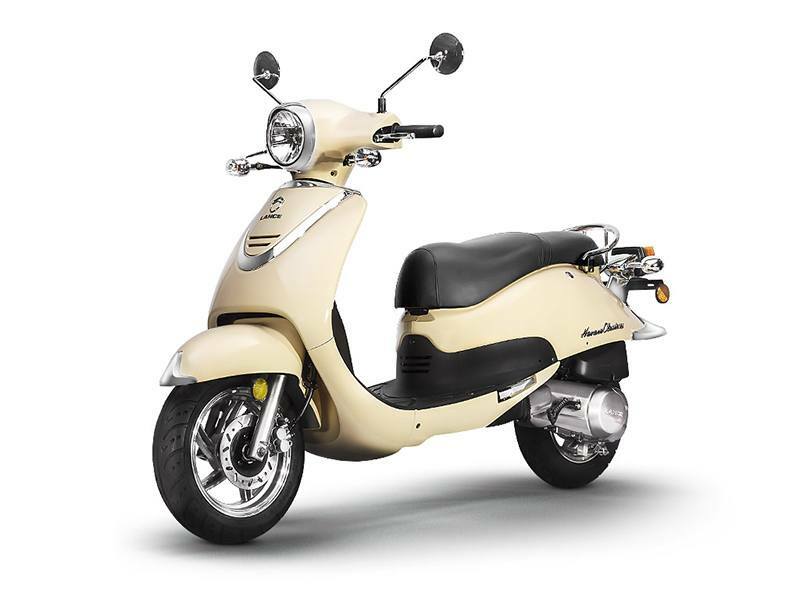 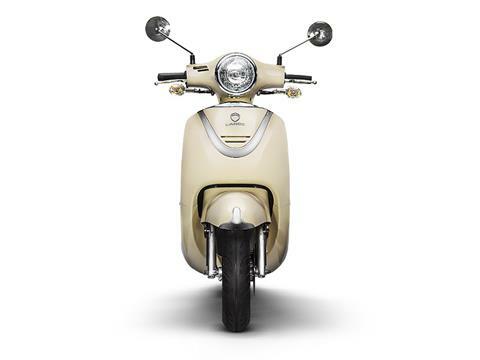 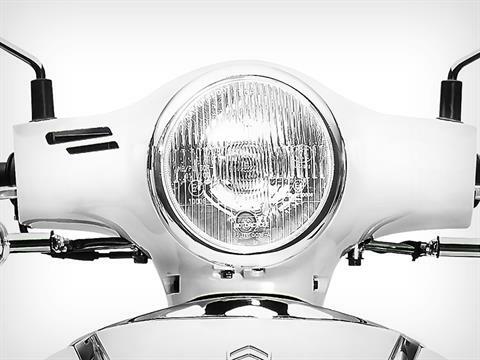 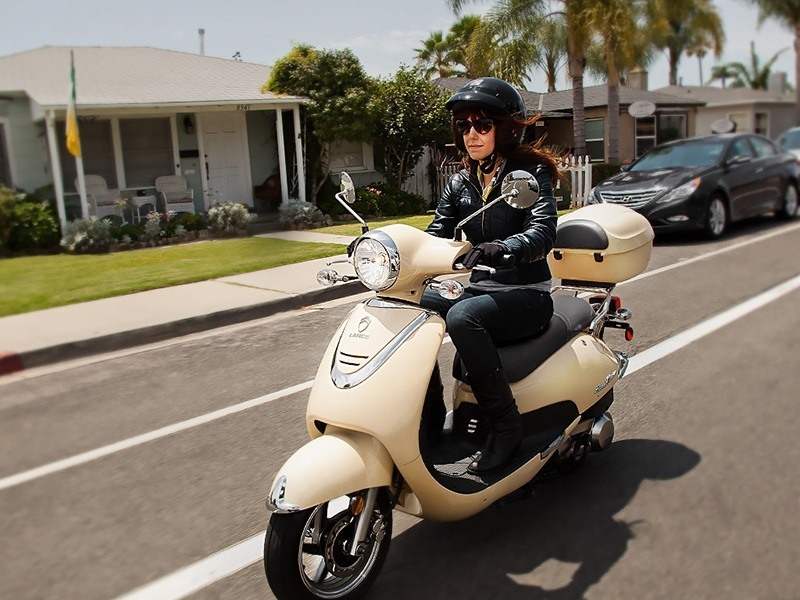 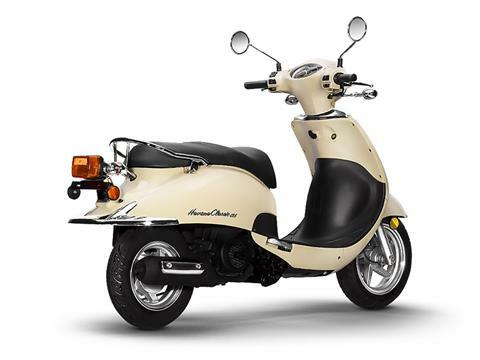 Thanks to the new 49 cc Ceramic Coated Cylinder, Havana Classic 50 is perfect not only for getting around town, but also for fast, smooth-flowing traffic on suburban roads. 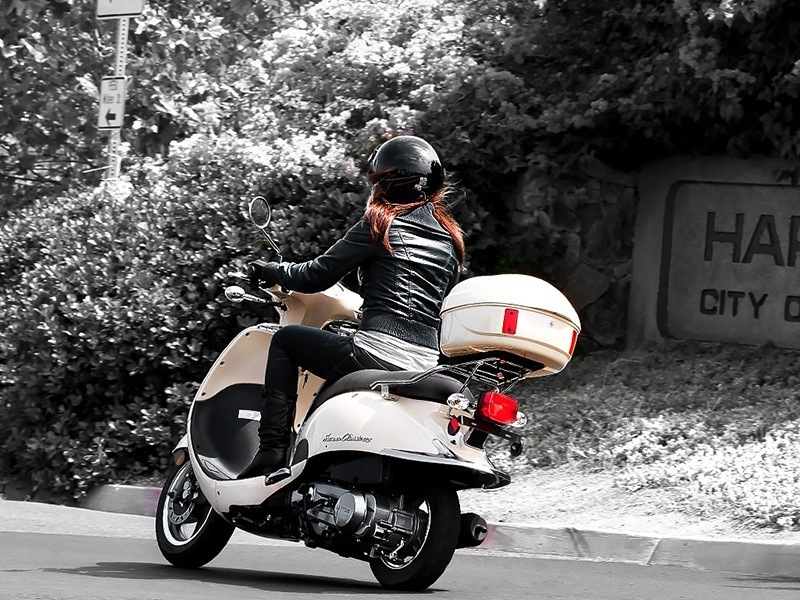 SAFETY: The combination of the 110/70-12 in. 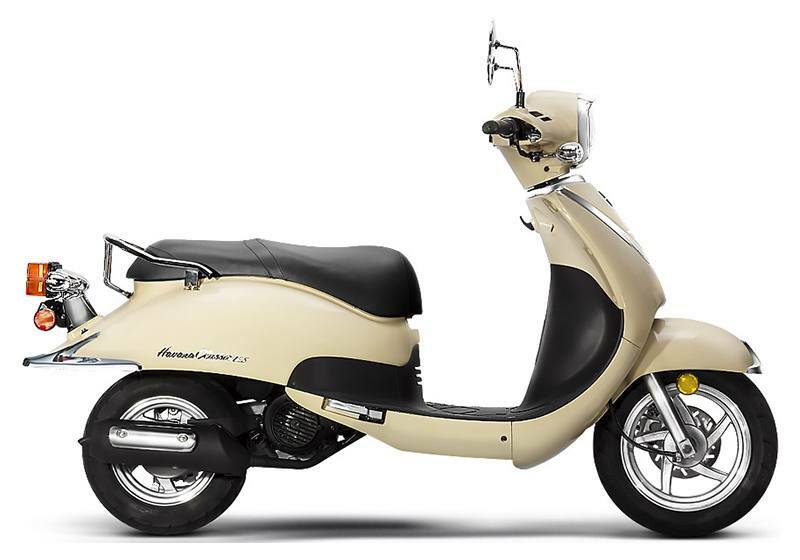 front and 3.5-10 rear offers just the right mix of agility and stability, guaranteeing the best road-holding in any situation. 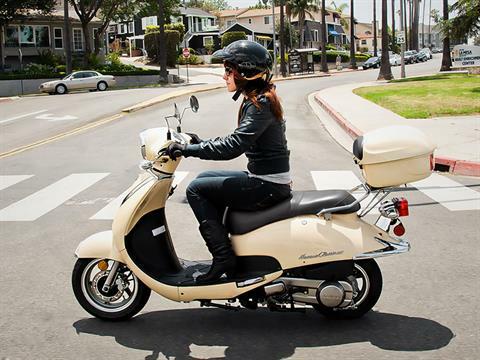 COMFORT: The Havana Classic is comfortable and upright and low to the ground. The retro style tan supple seat is long and very spacious with a 30 in. low seat height offering an easy and confidence inspiring ride.